You’ve created a wonderfully designed WordPress page. 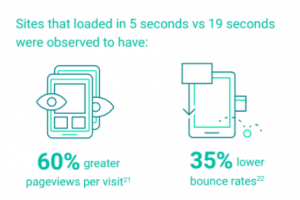 But as good as it may look and feel, if it’s sluggish and takes too long to load, you can kiss your conversions goodbye and say hello to higher bounce rates. Every element of your website takes up space and memory, all of which increase your upload time and decrease your page speed. The more memory you use, the more sluggish your website is likely to be. For WordPress site owners in particular, this represents a real challenge. WordPress sites are built on a basic shell, which is modified by choosing a layout template and then adding in various plugins. Each extra element means extra database queries and additional HTTP requests, every one of which slows down your page speed and diminishes a website’s performance. 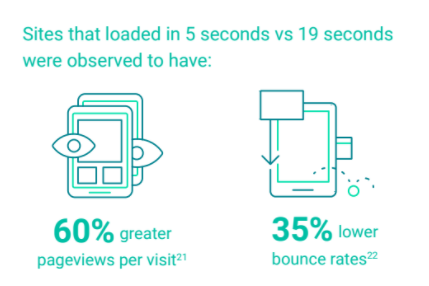 Most of us might not even notice these tiny, incremental decreases in speed when we view our own websites, but even fractions of a second can add up, especially for mobile viewers. And considering that just one second can make the difference between an engagement and a bounce, improving the page speed is critical. Fortunately, there are some easy steps you can take to reduce database space and speed up the loading time of your WP site, none of which require technical knowledge or coding skills. Start by going through your media library with a fine-tooth comb, removing any image files, videos, audio clips or other media files that you no longer need. If you have a huge library to go through, consider using a media cleaner plugin to make the job quick and easy. Next, remove any unused templates. If, like most people, you built your own WordPress site, you probably tried a few (or many) different templates before settling on your final design. And all of those templates remain in your site’s database, hogging space and slowing things down. 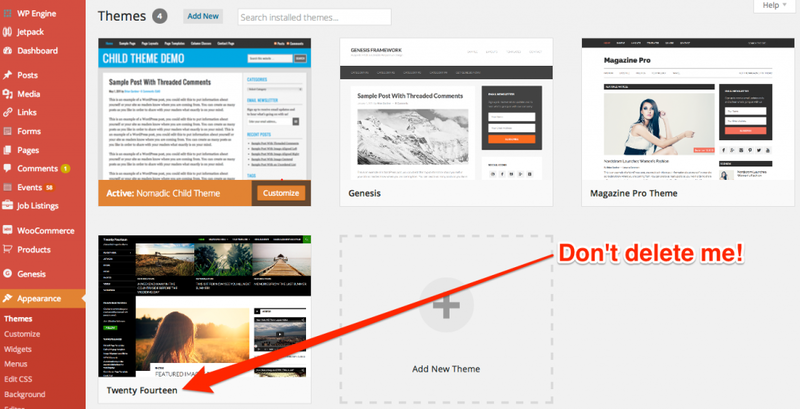 Get rid of them by clicking on Appearance > Themes then click on Theme Details for the theme(s) you want to remove. Then click on Delete in the bottom right corner. Updating may seem like a small thing, but it’s one of the most overlooked elements of site performance on any WordPress site. Like a smartphone, it requires these regular updates to ensure its operating system and applications stay up-to-speed and offer the latest features. 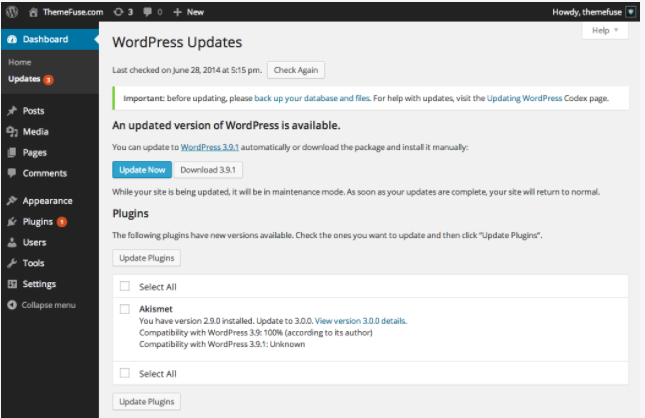 WordPress automatically pushes out updates on a regular basis. Each update provides new features and mends underlying security issues and bugs. Your WordPress theme and plugins may have regular updates, too; check in on your Dashboard frequently, and be sure to update whenever prompted. Failure to do so may make your website slow, unreliable and vulnerable to security breaches. Keep in mind that WordPress is notoriously vulnerable to security problems. Relying on the WordPress updates alone are not really enough to keep you protected in the event of a crash, hack or other system melt-down. With that kind of risk exposure, many experts recommend using a WordPress backup plugin that can protect you from hackers, server crashes, bad plugins, and even user errors. If anything goes wrong, you’ll be able to easily restore your site to full working order. When optimizing for speed, it’s important to consider the distance your potential viewers are from your server. If you have a global audience with visitors coming from anywhere in the world, you’ll probably want to install a Content Delivery Network or CDN. Basically, CDNs are used to prevent the issue of latency, which is an irritating delay that happens from the point when you request to load a web page to the point where the content appears onscreen. Latency, as you may have guessed, slows site loading speed down and has an adverse impact on site performance. Installing a CDN on your WordPress site will help to ensure that it continues to perform well and load quickly, keeping visitors happy, wherever they happen to be. You can find CDN plugins on WordPress.org; or, check with your hosting provider. Many of them provide CDNs at no or minimal costs. Good site performance begins with cleaning out your assets, keeping your software updated, and using a good CDN for fast delivery. Once you get these basics down, you will be on your way to maintaining a high quality user experience and building a long-lasting relationship with your audience. Finally, one of the quickest and easiest ways to maintain a website that runs at optimum efficiency is to download WP-Optimize, a plugin that automates the otherwise technical and time-consuming task of cleaning up your WordPress database by removing old revisions, spam and trash. It’s designed with a load of useful features such as automatic weekly cleanups, the retention of a certain number of weeks of old data, database table stats to show how much space can be cleared, the enabling/ disabling of trackbacks and comments for published posts, and restricted access for Administrators only. Owned and run by UpdraftPlus, this plugin has a solid half-a-million strong user base, and a host of new Premium features in the pipeline. Article written by Dvora Goldstein, professional blogger and content marketer. The post 3 Rock Solid Ways to Boost Your WordPress Blog Performance appeared first on UpdraftPlus. UpdraftPlus – Backup, restore and migration plugin for WordPress.